The star of the Moscow "Dynamo" Anton Shunin proposed to his girlfriend, the famous top model Ekaterina Grigorieva. As a gift the sportsman presented a a diamond ring. 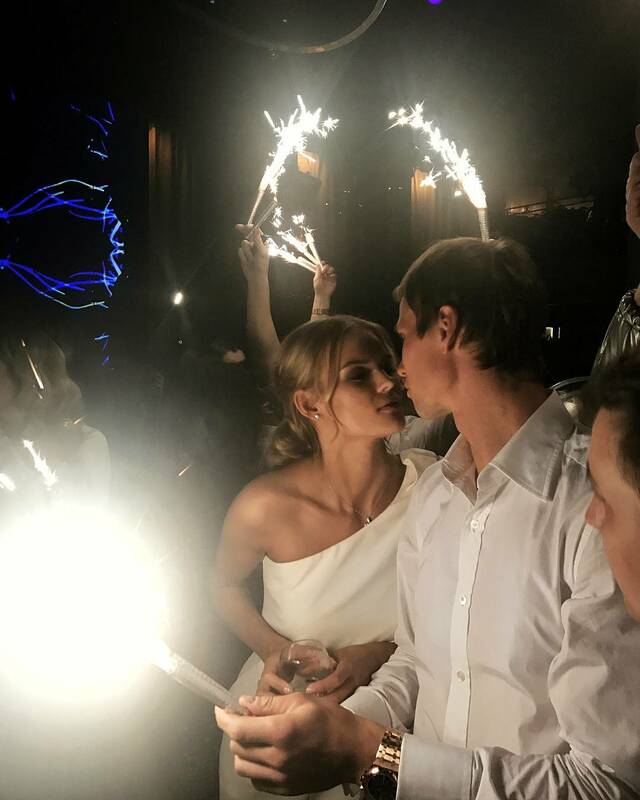 The goalkeeper and captain of the Moscow "Dynamo" Anton Shunin and model Kate Grigorieva are ready to tie the knot. The athlete decided not to wait for the end of the Russian Football Championship, in which his team will play seven more matches, and offered his hand, heart and purse to 28-year-old lady - the famous top model Ekaterina Grigorieva. The wedding itself is likely to take place at the end of the season, but it's important to prepare for the important event. 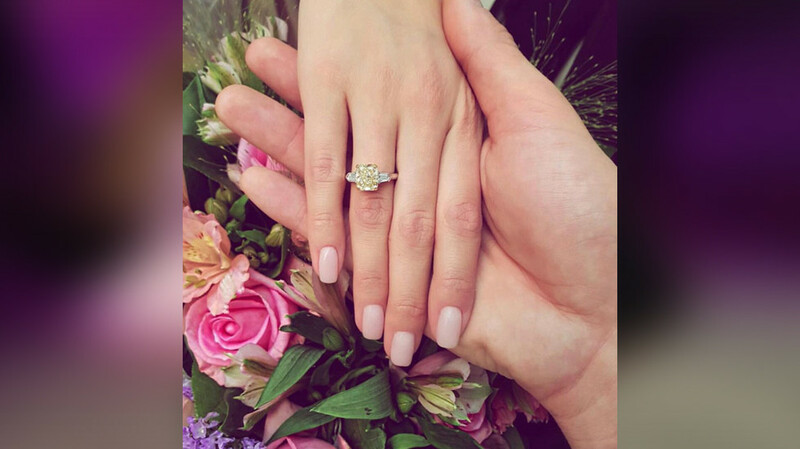 Information about the upcoming event was made public by a newly made bride, who posted a photo of her own hand with a coveted ring on the ring finger with the caption: "Yes". During the first three hours picture got more than 11,500 "likes". Enthusiastic girls congratulated Kate, wishing her happiness. By the way, experts have already calculated: the ring given by Shunin with a decent diamond does not cost at least a couple or three million rubles. In the official public of Grigoryeva in the VKontakte network, Katya (this is how she is called in the world of show business) is listed as a "model of Russian origin", in 2015-2016 - "angel" Victoria's Secret. In 2012, she took second place in the above-mentioned show, in 2014 - took part in the final show of a large company, following the results of that year she was named one of the most promising newcomers. Grigorieva likes snowboard and football. For example, in November she shared photo from the stadium "Camp Nou", when the local "Barcelona" beat Sevilla (2: 1). She often posts photos of Shunin. So, on January 27 the girl congratulated the boyfriend on the 31st birthday, confessing that she was waiting for him at home from training camps. A stormy affair of young wealthy people began in 2016. After their relationship ceased to be a secret to others, the ex-goalkeeper of the Russian national team and the finalist of the project "Russian Top Model" regularly appeared together at secular parties. And the native Olenegorsk, that in the Murmansk region, has achieved a certain status in her profession and does not agree to every project. For example, in February she "for unknown reasons", as stressed in public, refused to pose for the authoritative American magazine Sport Illustrated. In general, she garced the covers of large magazines at least four times. The upcoming marriage will be the second both for Grigorieva, and for Shunin. The model was previously married to a military man for a short time, and the football player dated a former companion and mother of the daughter of the famous rapper Timati, Alena Shishkova and even earlier was married to an old girlfriend from whom she has a five-year-old son of Artem. Shunin is a rare player at the present time, who throughout his career is loyal to one club. He has been in the main part of "Dynamo" since 2004, having played almost 200 matches, and in the club - already since 1994. There was even an incident with a petard thrown by a fan-hooligan. Shunin then miraculously avoided very serious consequences, having got burn to his eye. In August 2007, Anton conceded two goals from the Poles (2: 2), and in November 2011, one from the Greeks (1: 1).